If you've read Robert's application you'll know that there's 2 people that are close to him, and I want someone to pick them up. These people are Sophia Alberti and Maria Benussi. Sophia is Robert's younger sister, and a close friend of Robert. Maria is Robert's friend from childhood and best friend, and a former member of White Rose. So that's them in a nutshell, I purposefully left out details to try and give you guy's as much freedom as possible when making the character. 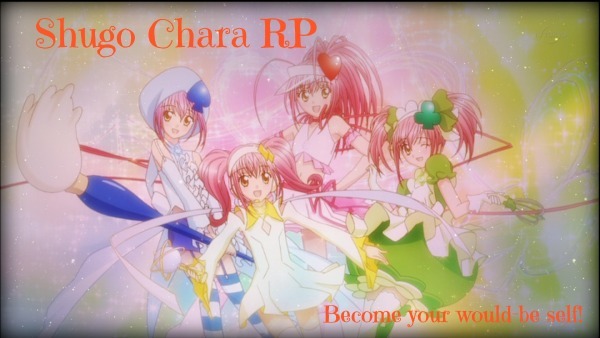 Bearer: Yes/no both work for me, whatever you think is interesting, that said in order for Easter to take an interest in her she probably would have to, at the very least, be able to see Shugo Chara's so keep that in mind. Face claim: You choose, though I would prefer a red hair because it's a recessive gene so it would be necessary for both their parents to have the gene in order for her to have it........... I watch too many documentaries. History is up to you, but her disappearance should have something to do with her parents and Easter, and explain how she ended up in Japan. Please, please don't leave it blank. She works for Easter, so keep that in mind. Whether or not she is a bearer, I want her to be able to see guardian characters. Why else would Easter have their eyes on her? History is up to you, just remember she also wants to be a detective and sometimes works with Robert and that she's the former "Bishop" of White Rose, also explain how she ended up in Japan. Please, please don't leave the history blank. Items, she'd definitely have the White Rose badge.